SAVE THE DATEs for 2016! Click on the MECA icon just above to get information about the Beginning Mariachi Course being offered at VanderCook College of Music in Chicago during the week of July 13, 2015. 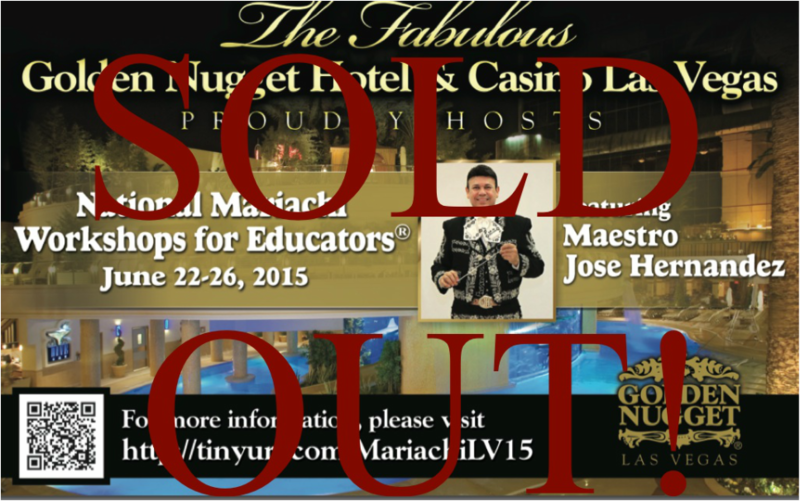 THANK YOU FOR BOOKING AT THE GOLDEN NUGGET! OUR ROOM BLOCK IS NOW SOLD OUT. IF YOU STILL NEED TO RESERVE A ROOM, YOU MUST CALL THE HOTEL DIRECTLY AT 702.386.8225 AND ASK TO SPEAK TO ADAM IN ROOM RESERVATIONS. 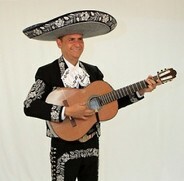 TELL HIM THAT YOU ARE WITH OUR MARIACHI WORKSHOP AND HE WILL BOOK A ROOM FOR YOU. OUR SPECIAL RATE IS GUARANTEED UNTIL MIDNIGHT, JUNE 5TH. Resort fee reduced from $20 daily to $5 daily. Internet, bottled water, daily newspaper and use of spa is available for $15 daily. Complimentary wifi is available in common areas and in the main room of the Mariachi Workshops. ALL ATTENDEES ARE GUARANTEED A ROOM AT THE GOLDEN NUGGET SO IF YOU ARE HAVING DIFFICULTY BOOKING YOUR RESERVATION THROUGH THIS SITE, PLEASE CALL US DIRECTLY FOR ASSISTANCE AT 702.361.3553. WE WILL TAKE CARE OF YOU! Click Menu icon to download the menu. Vegetarian, Gluten Free, and Dairy Free meals are also available for the week but please contact us at marcia@musicedconsultants.net by June 5, 2015, so that we may notify the hotel. Click the McCarran logo above to get information on the non-stop Golden Nugget Shuttle Service. In order to guarantee the highest quality facilities at reasonable rates, we urge all participants to make their hotel reservations at the Golden Nugget. Guests of the Golden Nugget will receive resort discounts as part of their package. One thing you DEFINITELY want to plan for this year!!! Although we finish at approximately 3:30 PM on Friday, we will celebrate our accomplishments well into the evening AND Jose is staying until Saturday so that he can celebrate along with us! 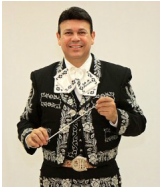 Our CCSD Mariachi teachers are coming to perform for us and Jose will be playing along with them. You won’t want to miss this very special networking opportunity! marcia@musicedconsultants.net no later than June 5, 2015, to make arrangements for special meals. WE ARE PROUD TO BE AFFILIATED WITH THE WONDERFUL SPONSORS BELOW.